We appreciate your interest in our inventory, and apologize we do not have model details displaying on the website at this time. Please fill the form out below and our team will quickly respond, or, please call us at 587-318-0103 for more information. 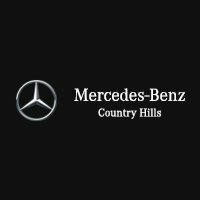 I consent to receiving electronic messages regarding new offers, exclusive invitations, promotions and other information concerning Mercedes-Benz products and services from Mercedes-Benz Country Hills, 2450 Country Hills Boulevard N.E., Calgary, AB T3N 1X1, (403) 930-7778. You may unsubscribe at any time. Please call us for more information regarding new vehicle offers.